Home › 360 Waves - Social › What does it mean to be an Elite 360 Waver? What does it mean to be an Elite 360 Waver? Elite 360, 720, 540 Waver? Are you an elite waver? 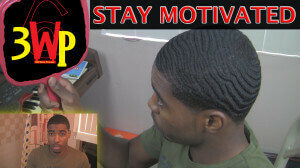 An elite waver has their waves on point and understands how they got their waves to said point. A person can have the best waves in the world, but if they don’t know how to explain how they got them that way then that waver is lacking a key quality. An elite waver takes his/her time to help other wavers out and If a waver doesn’t understand how to they got their waves, they lack the ability to effectively help other wavers. Overall an elite waver is someone who leaves a positive impact on the wave community through helping others as well as achieving great things for themselves whether that is winning Wave King/queen or helping out wavers by making how to videos on YouTube. There a lot more to being an elite waver than having good waves. If you want to hear more about what it means to be an elite waver check out the video below by Mr.WarrenCounty1. He is an elite waver by my definition and he mentions a lot of good points about what it means to be an elite waver. Feel free to check out his channel if you’re interested. I will be writing blog post featuring content from other wavers all the time. We need stuff like this to be done because no other website are really going to pick up and write about positive things happening or being done in the wave game. That being the case, you can expect to see more post like this featuring other wavers who are doing positive things in the wave community. Remember 360 Waves UP! New Wave Video coming soon to the 360WaveProcess YouTube Channel! Also, leave a comment if you have any thoughts about this subject of elite wavers.